The media reforms bill proposed by the Turnbull Government has passed the Senate. Communications Minister Mitch Fifield has been behind the proposed media reforms bill, which has finally succeeded. A removal of broadcasting licence fees, restrictions on gambling advertising in live sporting events across all platforms, and the repeal of the two out of three and 75% audience reach media ownership rules, are included in the approved package. Other measures include amending the anti-siphoning scheme, a broad ranging and comprehensive review of Australian and children’s content, and funding to support the broadcasting of women’s and niche sports. It comes five years after the Finkelstein Inquiry into media regulation, and four years after the Gillard Labor Government commissioned two media inquiries, and later delivered a legislative package which contained six bills. Other attempts made by both the Labor and Liberal governments did not pass. The abolishment of free-to-air broadcasting annual licence fees is expected to raise $130m on TV and radio, and aims to allow broadcasters to operate on a level playing field. Annual spectrum frees – which broadcasters will now pay – are estimated to raise around $40m. While Labor opposed the bill when it came to Parliament this year, the Turnbull government managed to make the Senate numbers through the Nick Xenophon team and One Nation Senators – initially reaching “in-principle” and “conditional” agreements respectively. 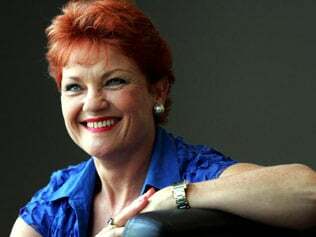 Pauline Hanson’s One Nation agreement with the Turnbull Government, includes a register of foreign ownership interests in regulated media assets, transparency in the remuneration of senior staff and on-air talent, legislative requirements for the ABC around fairness and balance, and an investigation into whether the national broadcaster is breaching its competitive neutrality failed to get ground. The Nick Xenophon team’s “in-principle” agreement included an inquiry into the impact of the new digital environment – namely Facebook and Google – on media, enhanced local content in smaller regional markets, a further extension to community television licensees, and a roundtable discussion with the sector to discuss its future. It also included a review of Asia Pacific broadcasting services, which would look into the reach of Australian broadcasting services in the Asia Pacific region. “I understand the opportunity here to strengthen large and small media companies in Australia- and the role of journalists in our democracy- and I will do my very best to make sure that opportunity is not lost,” he said at the time. There had also been doubt following US media company CBS’ purchase of Ten, which came despite speculation of a joint bid by shareholders Lachlan Murdoch and Bruce Gordon, who needed the media reforms to pass to lock in their purchase of Ten. 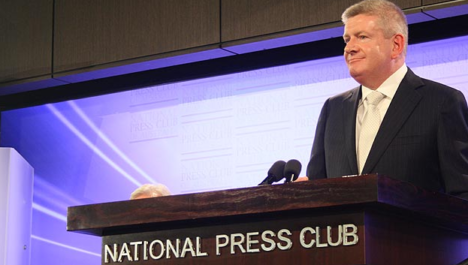 At the time of Ten’s voluntary administration, Minister for Communications, Mitch Fifield, said the administration was a “wake-up call” to opponents of the proposed media reforms. I know this is breaking but can you include a little detail on the $60m proposed in this bill for small ozzie publishers to promote journalism, innovation etc. Any details guys? Just wondering. Guessing you would be interested as well given your profile. Although maybe your revenues go over the upper limit now!!! Probs not. We’re working on a deeper analysis of the reforms now. Stand by. Q.And after the three years is up of the $60m handout who will be paying all these trainees moving into full-time reporting roles? Sorry NXT you sold out for a temporary pittance. Hang on, when is the next election? So that explains the three years. No mention of diversity in the main article picture?? ?